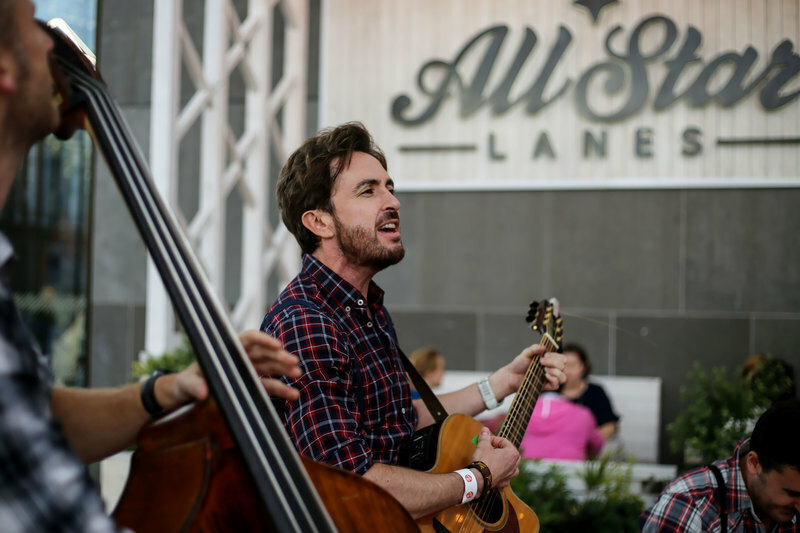 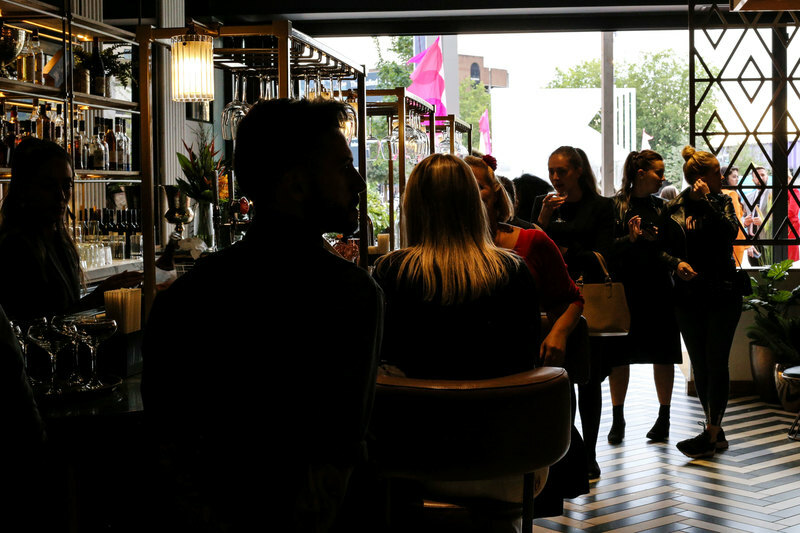 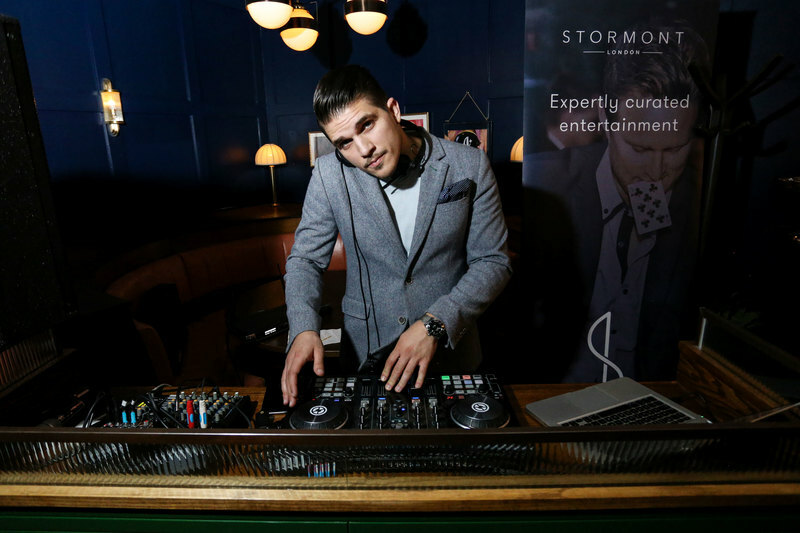 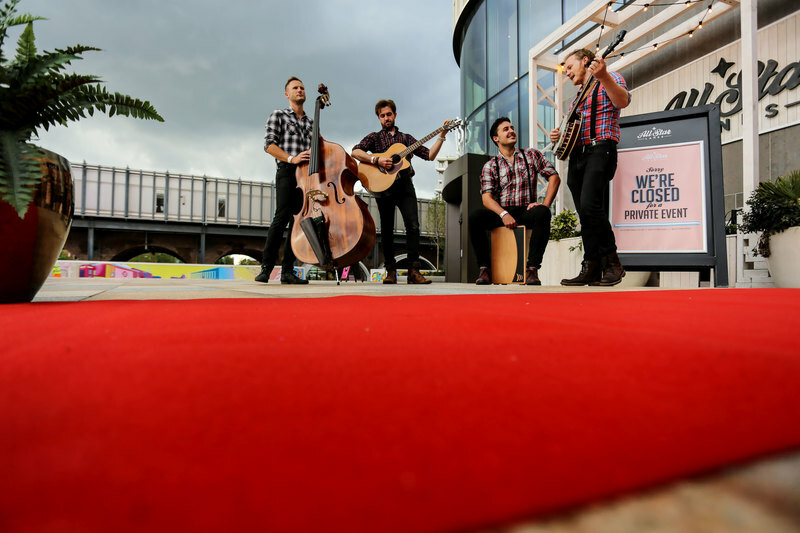 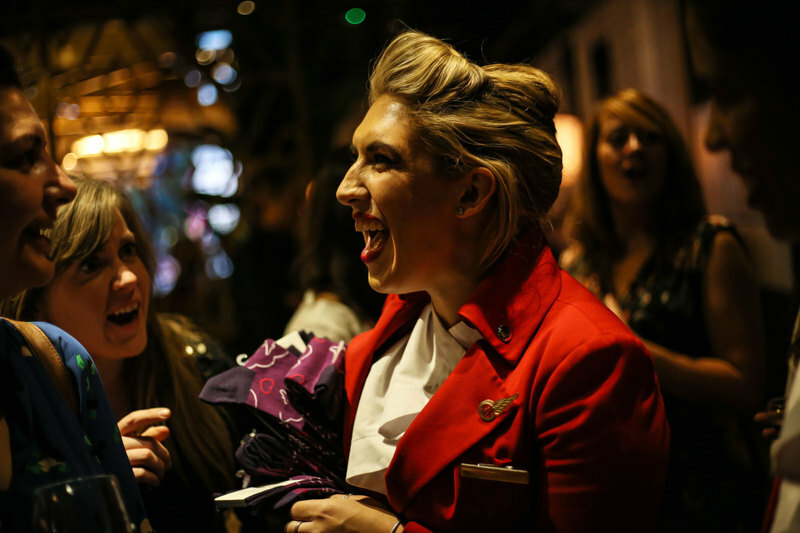 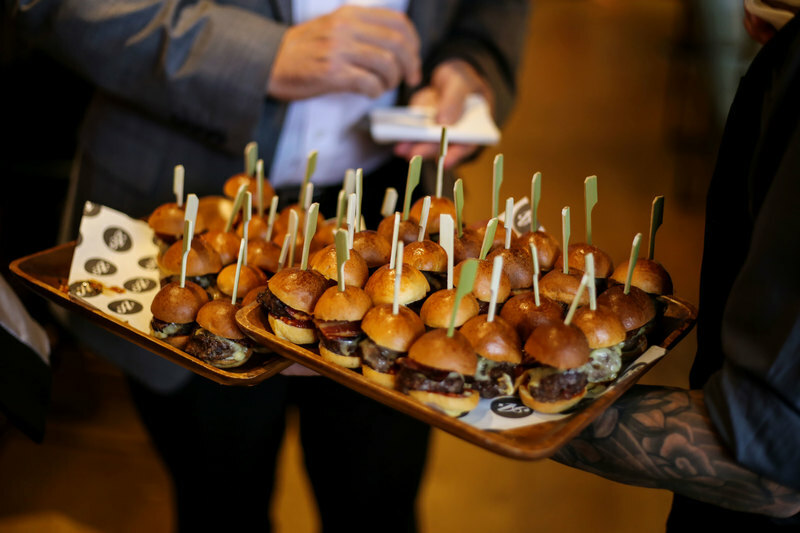 Stormont London were invited to participate in a showcase hosted by All Star Lanes, one of our newest event partners, in their multi-functional event space and bowling alley. 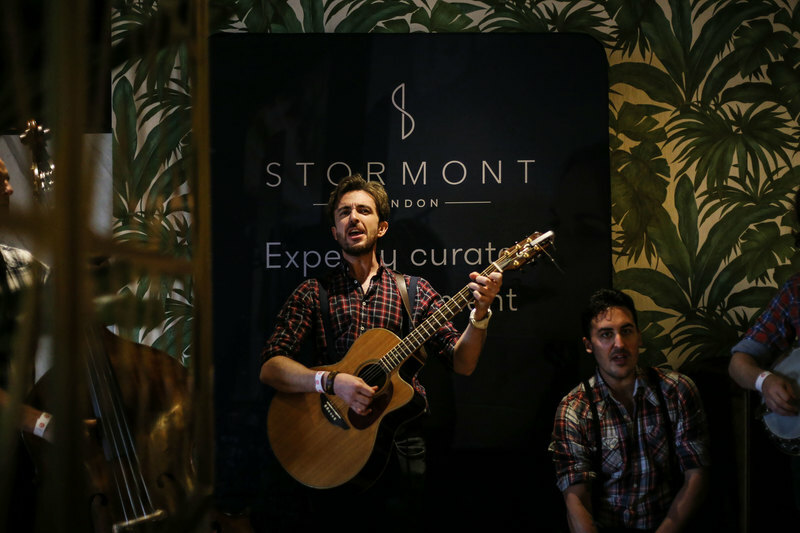 Some of the very best of the Stormont team were hand-picked to represent our roster on site and entertain guests all night long. 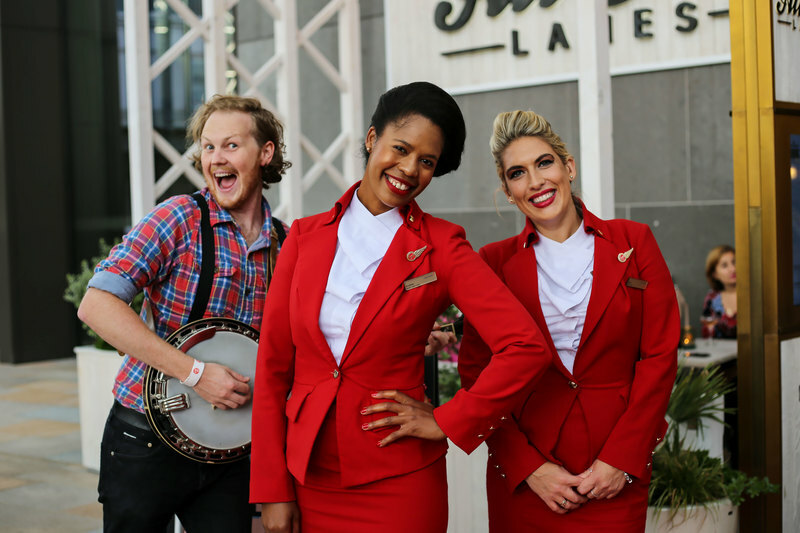 Sweet Caramel put together a charming roaming band for the occasion, poised at the entrance to lend a helping hand to the lovely Virgin attendants in welcoming guests to the showcase. 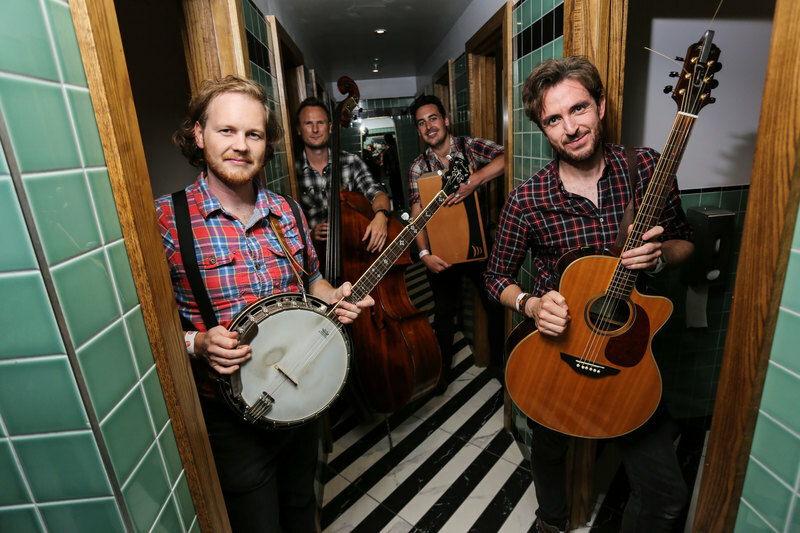 The band later wandered inside — if you’ll pardon the pun — to continue entertaining guests inside the venue as well. 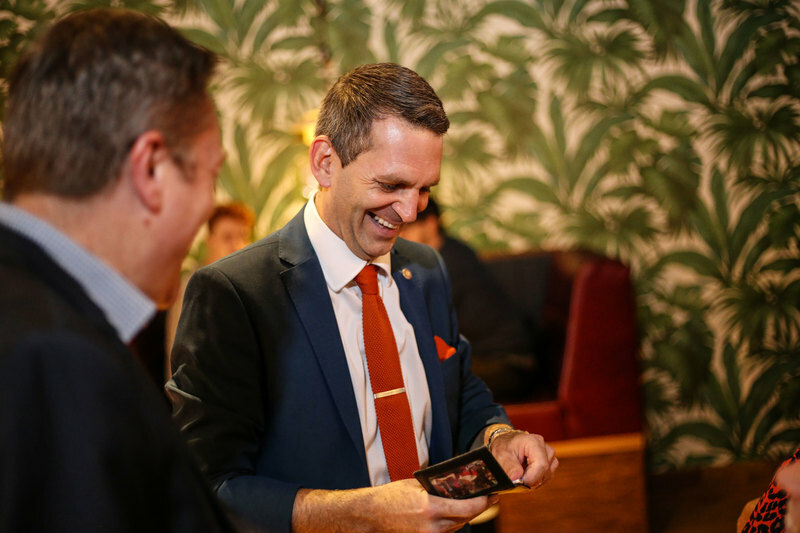 Lee Turner, one of our favourite magicians was on site to wow attendees with his dazzling close-up tricks and sleight of hand. 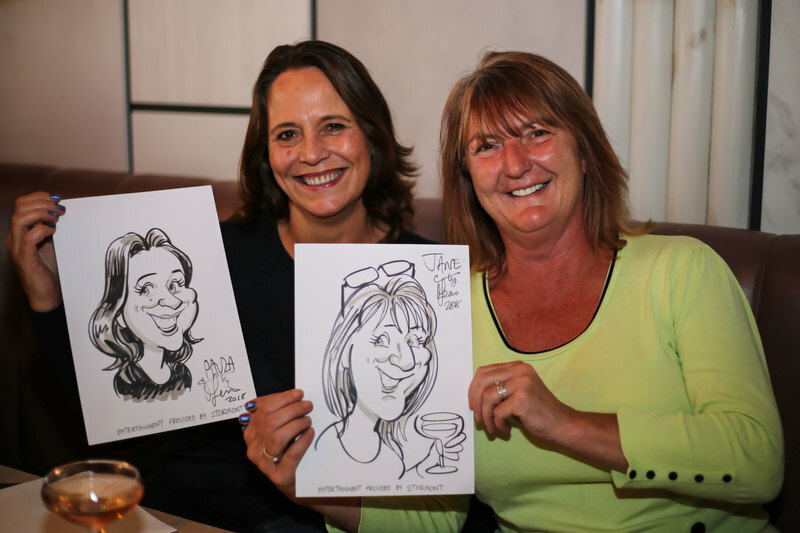 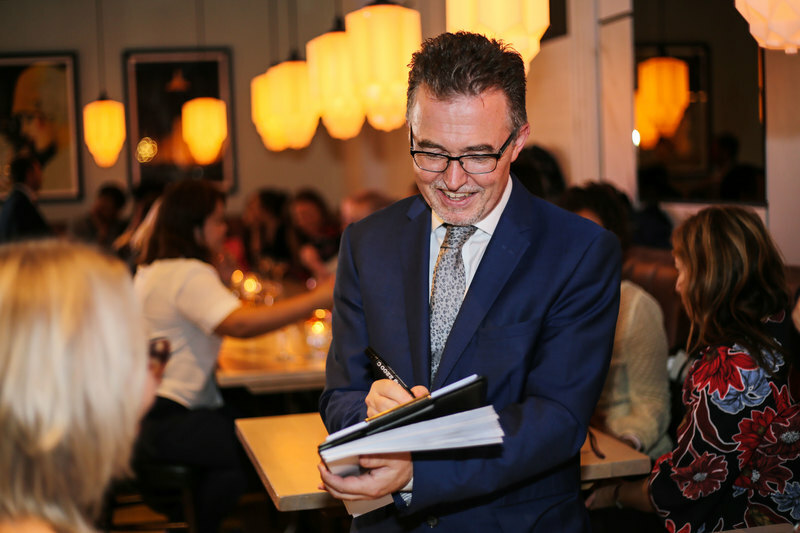 After being bamboozled by some top-notch magic tricks, the guests also had a chance to have their portraits done by the excellent caricature artist, David Ellis. 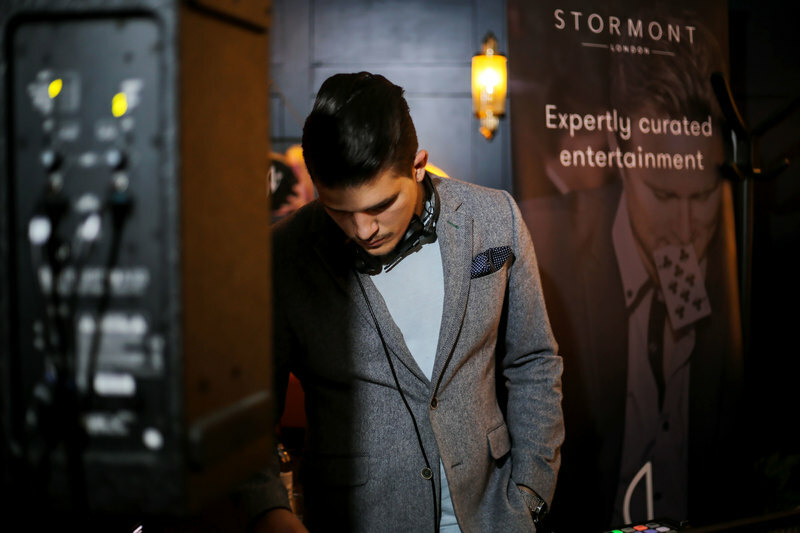 After the roaming band, as evening turned to night, our excellent DJ Simon stepped in to supply some tunes for the guests to tap their toes to and keep the party going. 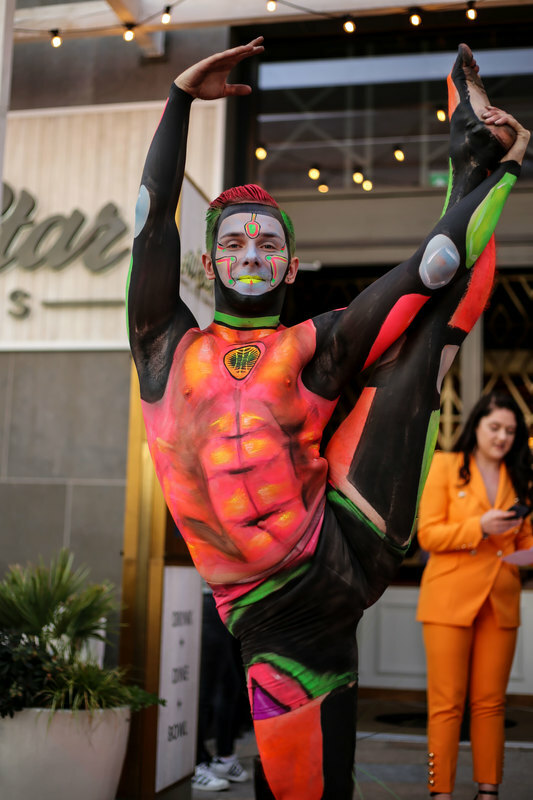 Breaking Point provided a couple of excellent dancers who demonstrated their skill and agility inside and outside the venue, even surprising the guests with an impromptu UV dance show! 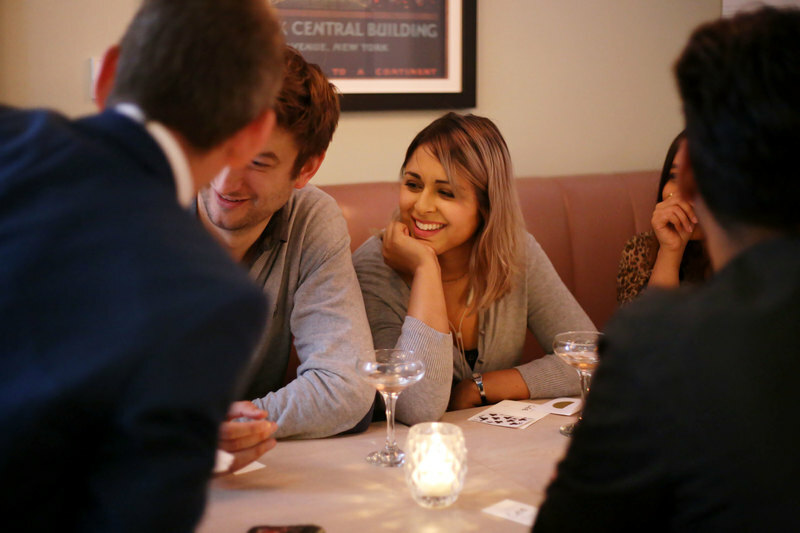 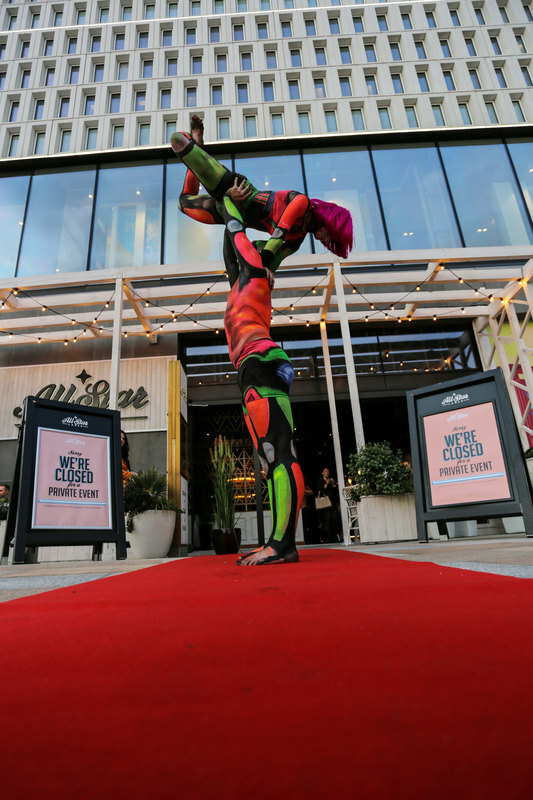 With good food and drinks and even better entertainment, the showcase was an all-round success and a hugely entertaining evening for all!